EMERYVILLE, CA, October 4, 2017 – Quantitative Medical Systems, the US market leader in dialysis revenue cycle management and electronic medical record solutions has acquired the operating business of Clinical Computing. Clinical Computing, headquartered in the United Kingdom, is the developer of a web based electronic medical record solution for the renal therapeutics market. 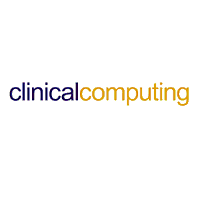 Clinical Computing’s technology platform has been implemented in the US, Canada, United Kingdom, Australia and New Zealand. “This acquisition expands QMS’ presence in the renal software marketplace and will benefit both current and future customers of QMS and Clinical Computing. We look forward to working closely with the team at Clinical Computing.” said Paul Benson, General Manager of QMS. “We believe our respective products and markets are complementary and provide our customers and staff with increased choice and opportunity. We are pleased to be part of the QMS Group” said Sanjay Gandhi CEO, of Clinical Computing.